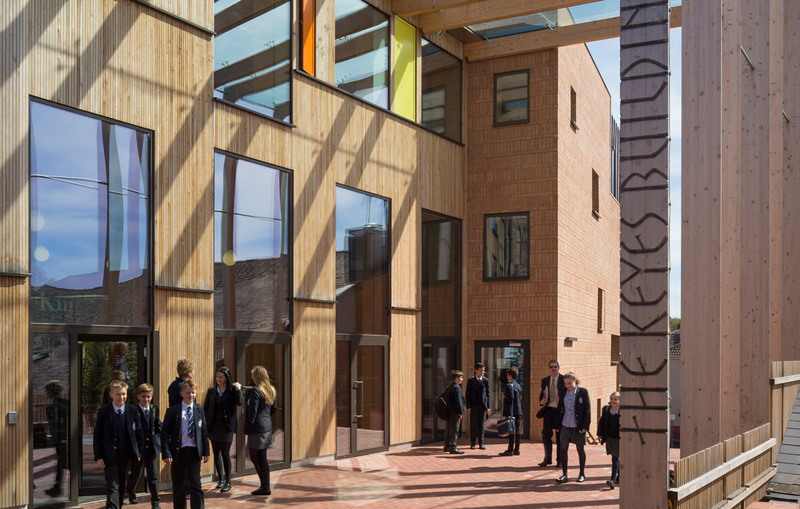 RIBA-nominated school building benefits from LEDA’s expert low-carbon consultancy. 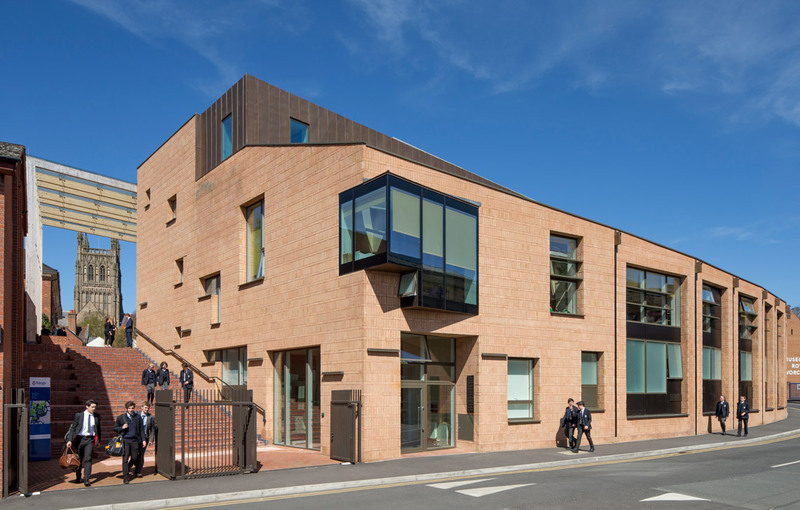 As part of the team working on the Keyes Building we were able to help the Kings School realise a 20 year vision for a low energy, high specification building. Our consultancy began at an early stage of the design process, enabling us to carry out a detailed review of all low and zero carbon and renewables options, and build an accurate model of predicted overall energy use based on very good airtightness and U-values. 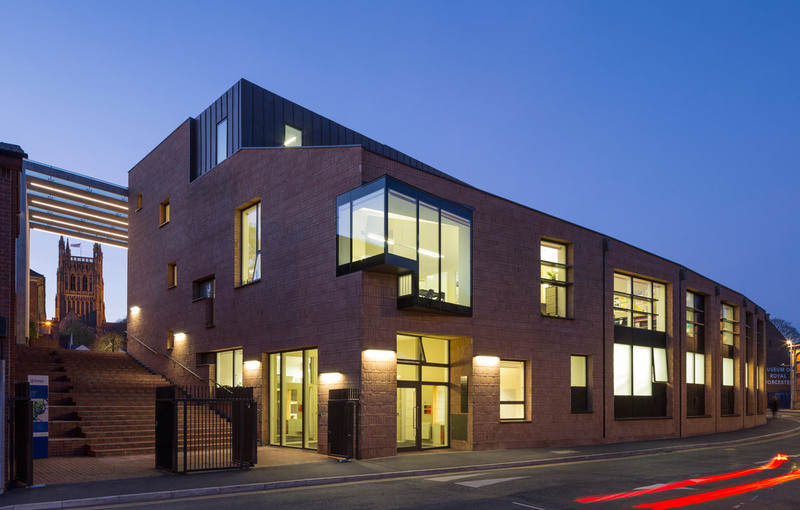 Every aspect of the Keyes Building was designed and specified to the highest standards, this meant insulation and airtightness levels in line with Passive House design specifications, creating overall U values 42% better than building regulations requirements. Continuing this fabric first and sustainable approach to the building services, we specified a biomass boiler which feeds not only the Keyes Building but two additional, adjacent buildings to reduce on site gas use. 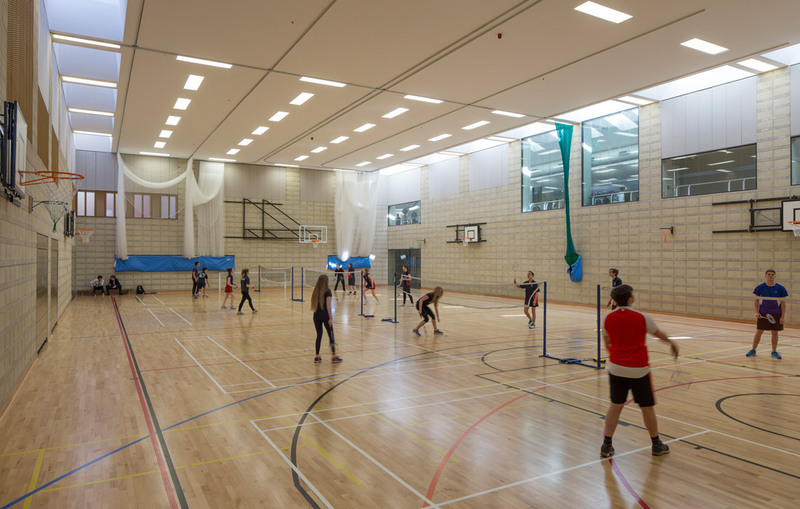 Being a heavily-used school building, we wanted to specify a ventilation system that was flexible and effective – maximising comfort and minimising impact for all occupants. To achieve this, we specified a mix of MVHR and natural ventilation which is automatically controlled with manual overrides. Additionally, the system offers night time cooling to enhance summer comfort conditions. 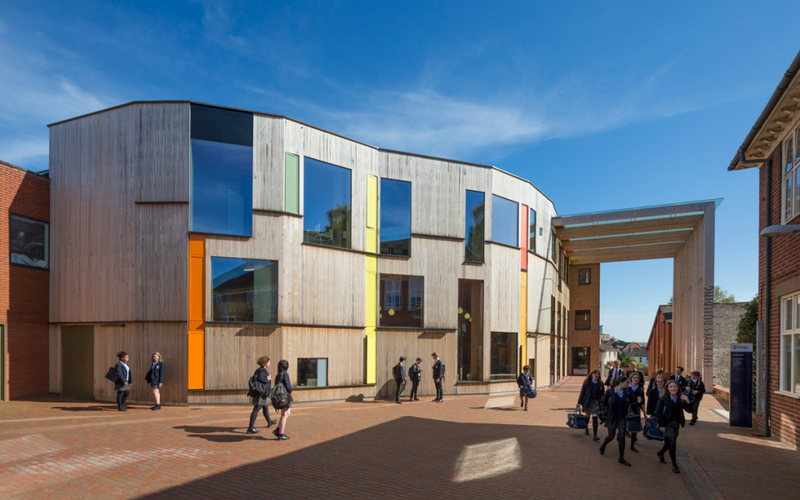 In an educational space it’s important to achieve good to high levels of natural daylight as it has been shown to improve concentration levels and the wellbeing of students. On the Keyes Building we modelled various options of windows and rooflights to calculate and visualise the spaces enabling us to create high quality daylight solutions. With such a focus on controlling and improving the natural daylight, it’s important to ensure the electric lighting design has the controls and positioning to work harmoniously with, and in response to, the natural light. Automatic dimming and switching were included saving energy and creating more evenly lit spaces. In a project such as the Keyes Building the ability to monitor energy consumption and provide feedback on energy saving opportunities to the client is valuable. 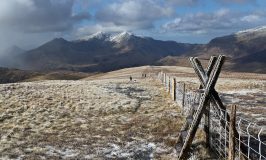 To support this, electricity and heat meters were installed at strategic points to enable the monitoring of the different energy uses for example lighting, heating and hot water. M+E Design, Sustainability Consultancy, Feasibility studies for renewables and metering systems and Building Performance Evaluation.